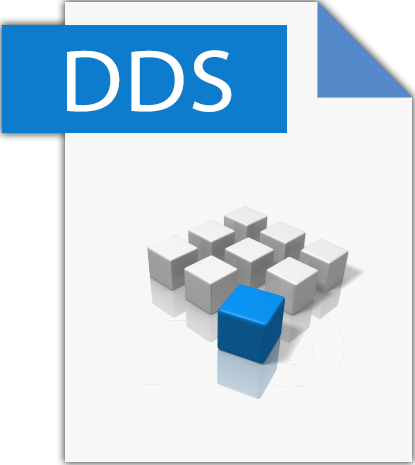 DDS file extension is associated with Direct Draw Surface files. DDS file format was created by Microsoft. DDS file format was first introduced in September 1999 with DirectX 7.0. In Direct 8.0 was added support for volume textures and with Direct3D 10 format was extended to allow an array of textures to be included and support for new Direct3D 10.x and 11 texture formats. DDS file is binary file. In its structure it contains some information as, DWORD containing the four character code value “DDS “ (0x20534444), a description of data in the file, a pointer of the array of bytes containing the main surface data, a pointer of the array of bytes containing the remaining surface as mipmap levels, faces in a cube map, depths in a volume texture. DDS format is container file format for storing data, compressed with S3 Texture Compression (S3TC) algorithm and can be decompressed in hardware by Graphic Processing Unit (GPU). DDS format is used by Microsoft DirectX multimedia applications for storing textures and environments and can be used for storing Windows desktop backgrounds and wallpapers. Because format is useful for storing graphical textures and cubical environmental maps as data files, compressed and uncompressed, DDS format is commonly used in gaming development, for enhancing user's gameplay experience.